Charles Zembillas: What is Project A / BC ? 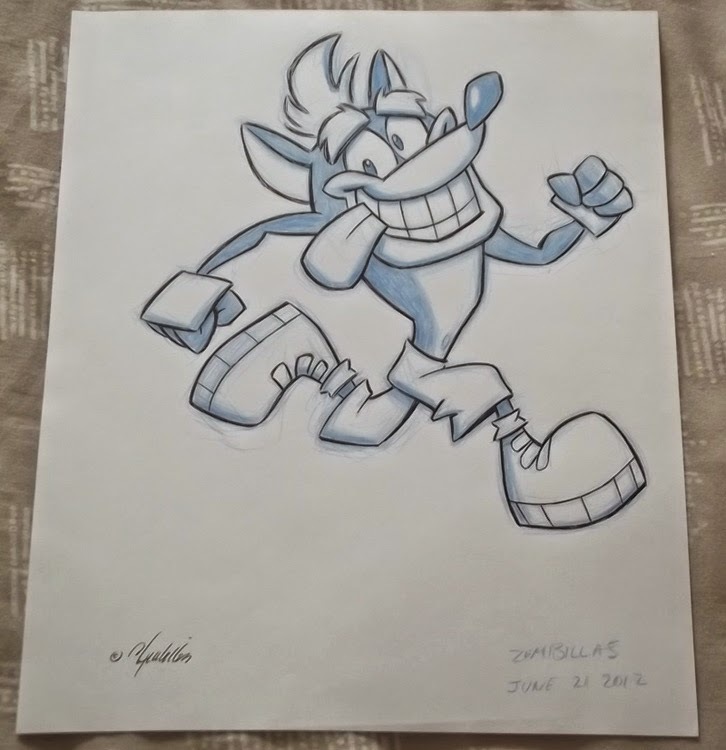 It's an eBay auction of original art I've drawn of Crash Bandicoot benefiting both my school The Animation Academy in Burbank California USA and the Worthing Boys Club in West Sussex UK. With the Worthing BC as sales agent of the art the first auction is currently in progress and will be wrapping up in 2 days and 11 hours from now. There are three drawings to be auctioned and the story behind the 3 month 11 day trip from Burbank to the UK via Brazil is pretty darn amazing! Now we can offer the highest quality in original fine art for the Crash Bandicoot community thanks to Project A / BC ! Friends, imagine what this will be worth when I am no longer a part of the mortal world! Original art like this is an enjoyable investment. This is the first time Crash Bandicoot original art I've created is made available to the public. Plus the proceeds from the auction will be helping both the Academy and the Boys Club cover our expenses and help to expand upon the good we do.